I found a great site with lots of tips for traveling with your cat! Check out Meeowcat.com for everything you need to know about traveling with your cat. There’s a checklist as well as a detailed infographic, I was surprised how helpful this was. Solid receiver, good performance even on networked receivers. Intuitive and easy to use. 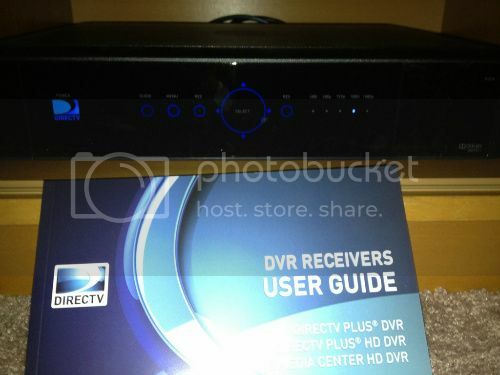 We recently upgraded to the new 5 tuner DirecTV HR34 HD 1080p DVR receiver. It’s definitely an improvement from our old UVerse DVR receiver, which I felt was slow and clumsy. Let’s go over some of the key features in this review and why I say you’ll consider it a step up. If you’ve already read this article and are looking for details on the 0x547 (1351) software update, click here to skip to page 3. We obtained our receiver via a contract with DirecTV. I was shopping at Fry’s in Northern California and signed up at the DirecTV booth in the television section. The agent who helped me was knowledgeable, she had been with DirecTV for several years and could answer all my questions. Supposedly DirecTV just started offering this receiver in our area, so I thought it would be another good review opportunity. I signed a 2 year contract because we needed installation and I know it’s included for free when you sign a contract. Although I had to pay about $120 up front for the newer HR34 receiver, we ended up getting an all inclusive deal for $47 a month for the first year. That’s the middle of the road channel package, HDTV service, the HR34 (which is shared over a coaxial network) and 2 HD receivers. Not bad considering UVerse was charging us over $100 per month and not delivering on a good user experience. The second year does go up to about $60 per month which is still reasonable, then after 2 years we can elect to cancel. After having service for about a month now (which includes a couple months of free HBO, Showtime, etc) we’re pleased with the service, selection, and receivers. I listed the old HR24 receivers below that are available on Amazon, at these prices I’m not sure why you wouldn’t go for the new HR34-700 instead. The more expensive one is the receiver & DVR, the cheaper one is just a receiver only.